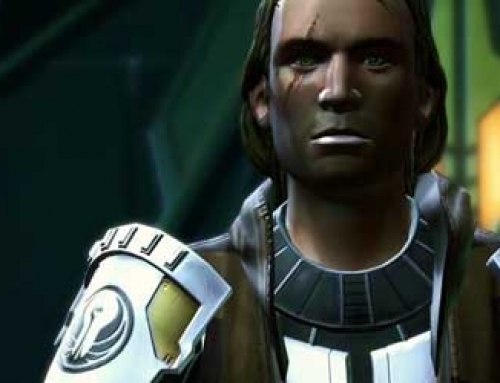 Can’t find an epic Sith name to suite your SWTOR Sith Warrior or Sith Inquisitor? Try these simple formulas to create a personalized Sith first name and Legacy name containing your own name, dark emotions and ambitions. Formulas to create Jedi names by combining letters from your name, your mother’s maiden name and letters from the town or place where you were born have been around for quite a while. With Sith names it’s been different. There really has not been a formula to create a personalized Sith name. The established standard is to take the name of something bad, change it around ever so slightly and then slap the title Darth or Lord in front of it; Darth Tyranus, Darth Sidious, etc. The Sith and the Dark Side of the Force often is mistaken for being evil. Then Dark side is not about being evil or doing bad things, but about emotions and being guided by emotions. The Sith are not “bad”, they are true to themselves. There are a few formulas to emulate names like Exar Kun and Naga Sadow using letters in your name with letters and syllables of emotion, weaknesses and ambitions. For your Sith first name, take the first TWO or THREE letters or first syllable of your first name and combine it with the first or last TWO or THREE letters or syllable of an emotion, weakness or fear. 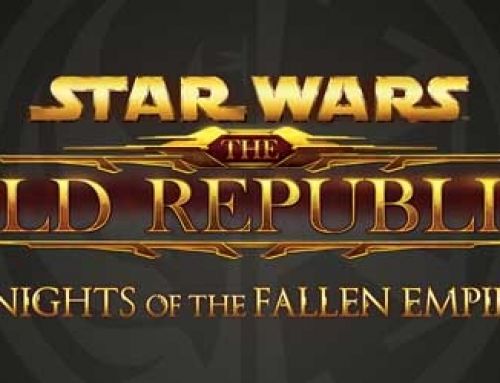 For your Sith last name (SWTOR Legacy Name) take the last TWO letters or last syllable in your first name and merge them with the first THREE letters or first syllable of an emotion, strength or weakness. If your homebrewed letter combo turns into unpronounceable gibberish, use hyphens or apostrophes to separate or replace conflicting consonants and vowels. For your Sith first name, merge the first THREE letters or the first syllable in your first name with the first TWO letters in an emotion, fear or weakness. For your Sith last name, merge the first THREE letters or syllable in an emotion, strength or ambition with the last TWO letters or the last syllable in your first name. EXAMPLE: Toulac Zeama – TOUMA who used to be LACkluster and now strives to be ZEAlous. For your Sith first name, merge the first THREE letters in your ambition with the first syllable in your first name. 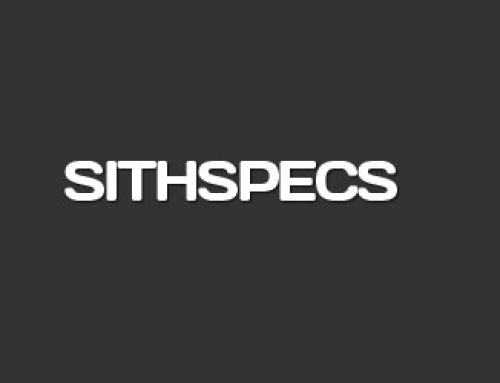 For your Sith last name, merge the first THREE letters in your weakness or flaw with the LAST syllable in your ambition. EXAMPLE: Malan Weacious – ANdy, his weakness was being WEAK, his ambition is to be MAliCIOUS. For your Sith first name, merge the first letter of your first name with the last syllable or last TWO or THREE letters of an emotion, fear or ambition. For your Sith last name, merge the first letter of the emotion, fear or ambition from above with the rest of your first name. 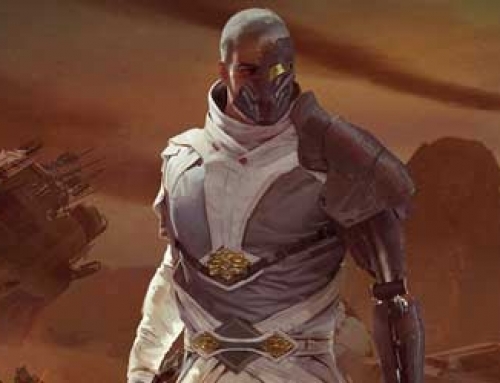 EXAMPLE: Dreat Tharion / Tharion Dreat – From the name DARION who strives to be a THREAT to the Republic. 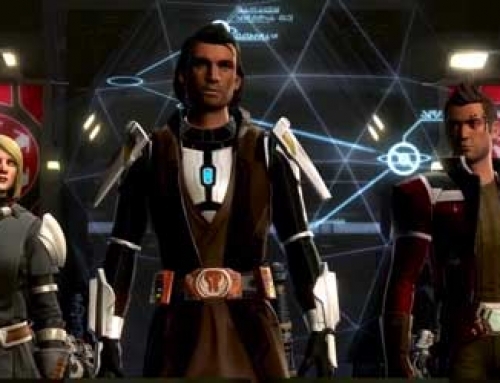 EXAMPLE: Sharah Sa’Dow (edited) – From the name SARAH, who rolled a Sith Inquisitor SHADOW. EXAMPLE: Kaosa Ras (edited) – From the name SARA who wants to cause CHAOS. EXAMPLE: Recack Baression – From BARACK and RECESSION. If you do not like the formulas above, try this old RP name generation formula. Simply replace or switch the vowels in names or words. As a last resort, try converting your name into the equivalent in a foreign language. I tried your formula and my name turned out to be Revan, lol. Great ideas though, I’m sure I’ll find a name they will let me use. Thx, for the tips. Man, did I have trouble finding a good name, Dark Lord Kathex Kras. For mine I simply combined and jumbled the letters in my first name (Jon) and my fiance’s first name (Kate). Came up with Jak’Tone…seems to be working out thus far. I figure it should be “Lord Jak’Tone” … he’s of Sith race, so by default he’s awesome. Recack Baression – ha ha! Love it! Another way is ofcourse to alter a normal word. My sith inquisitor is about deception. So his name will be Deceptueis. And for my Sith warrior i use Draztic, but thats cause i’m using it for about 6 years. The Latin thing really works. Used the Latin word Vastitas which means Devastation and the “it” to make Vastas. Thanks. It reallyt worked out! I took power what is potestas leaved away tes and i got a pretty good name!!! P.s. What you tell about that vader should come from invader is not completely true. I thought that first too but a few minutes ago i searched it and it comes from the dutch word for father (wich is vader) because he is lukes father and luke plays the main role in the original trilogy. But anyway thanks for the tip about the name!!! Darth Mortious. Mortem = Death in Latin. Add “ious”. Kinda lame, seeing as the prefix is “mort”, but it’s still pretty good. I just used the first formula you said at the top of the page. So I took the first letter of my first name N, then I took the first letter of the my moms maiden name L, and the first letter from where I was born K, and then stuck a few vowels in between and what do you know? An awesome Sith name. Ha Ha Thanks for the help. Mine was(dum dum dum)Darth Ravus(pronounced Ray-vus),which I thought was a pretty cool Sith name. I will creating an account soon, so I want to make sure this sounds ok. I used the beginning to my last name (EN) and added on “krieg” which is German for “War.” What is your opinion? If you don’t like it, please send ideas for how I should change it. just use your imagination, take word for example with Darth Sidious from the word insidious or plague to Plagueis, just a word for something bad and change it a little or you can describe the person’s nature or plain simple just a word such as ‘Carnage’ or ‘Venom’ or ‘Ragnarok’, just figure out something cool and take it plain simple. random: to Hinata Hyuga=Darth Insomnium (some launguage where insomnium means something allseeing), to Naruto Uzumaki=Darth Sage(because i think he is reborn sage of the six paths), (male) Darth Avarous, (female) Darth Borakan, (female) Darth Malika, (male) Darth Krius, (male) Darth Vorus. but as i said use your imagination and find something you like. I tried to see what the formulas would give me and the best names I could get were: First Names [Jorpe and Jorrul] Last Names [Winan, Adan]. The last names were pretty good and I might use those but I rearranged the letters of my name (Jordan) into Nadjor, and then took parts of my middle and last name to create Divoods. Actually as I type this, I have become fond of Adan Divoods. Good Ideas mate. Years ago I took the name of Darth Seriness. It in some ways is a play off of Darth Sidious, but also shows a serious side as well. My so called “apprentice” was Tornadas (Tornado), which was much better than the first one which was Silliness (at take off of Villain). Mine is Darth Kryule (Crule). i just thought agonizing fate and jumbled the letters its not that difficult if you have a brain. Trying to find a sith name for myself. I like how the various suggestions are set up to give people an idea for Sith names. For me it was fairly simple and made mine long before I even read this article. I wanted a Sith Inquisitor that Portrayed a Queen of the dark side force powers that showed a relentlessness of what a true Sith is. Yes I used the Sith character! Anyways, I thought of a Tiara since she was to be queen she needed to be crowned as such. Thus taking the T and replacing it with Z (Ziara) The last name, separated by an Apostrophe, (Xi) had no real significance but added a certain Royal flavor to it if you will. My Legacy name was quite simple. I know that the dark side is not suppose to be viewed as evil but rather symbolizing the vast array of emotions set forth to embody the very essence of their beings and what they stand for. The word or name if you will-Satan means simply adversary. Sort of fitting for the whole war concept between the Empire and Republic. Most of the names I use are from greek or roman mythology. Hey I just found the Latin for evil and hate (Malum and Odi) and rammed them together. The other ways keep on making my name sound and look like dung.